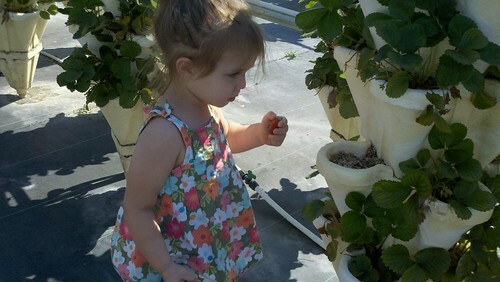 I love strawberry picking. 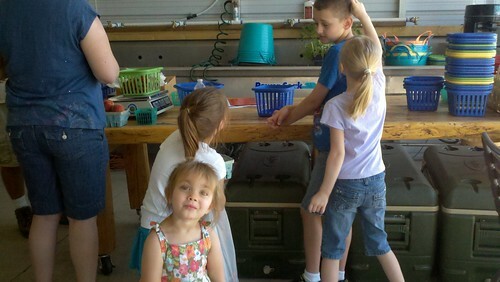 Its one thing I do with the kids every year. Usually I get great strawberries...so many that I don't know what I'm going to do with them all! I found this one farm up in Fredericksburg that I was planning on going to but then decided with the price of gas I'd look for something a bit closer. 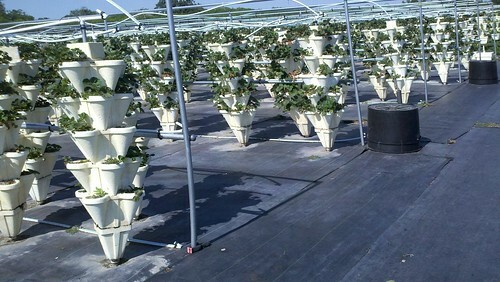 I found this farm that has hydroponic pots so you don't have to bend down to pick. 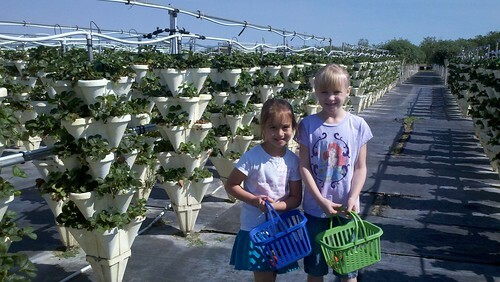 This is awesome...where was this last year when I was 36 weeks pregnant strawberry picking?! 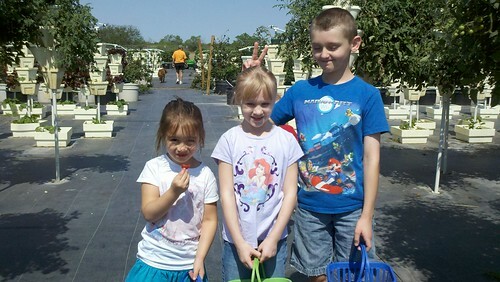 I think they had a good time running around trying to find the berries...and eating them (ew - more on this in a few). 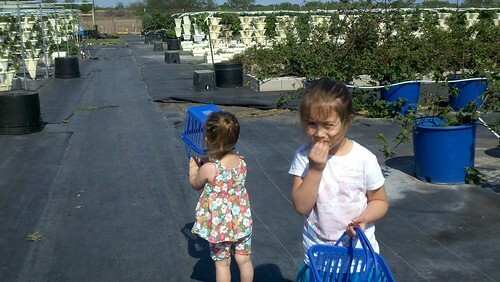 I always let them eat as they pick...because really, its not THAT bad for you. We've all eaten dirt or bugs at some point...maybe. I think that's a really good photo of C & A1. 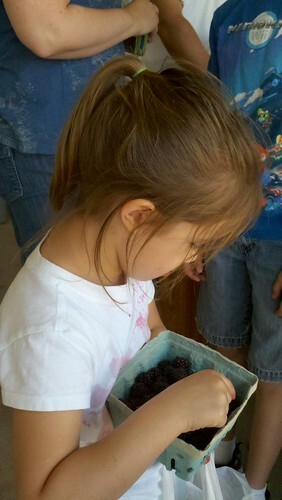 Not only did we pick strawberries but we picked blackberries too - yum! 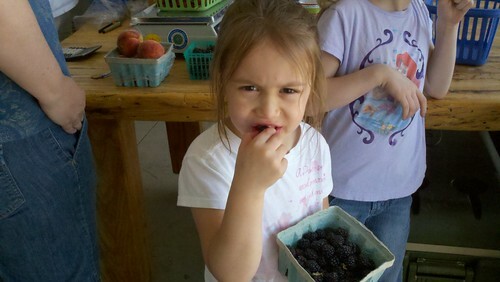 She never liked blackberries until this day. 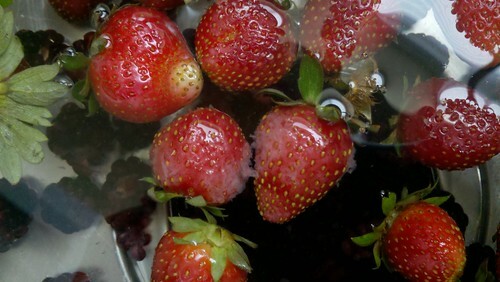 We paid for our stuff, it wasn't a bad price...but then when we got home the strawberries were pretty ruined. I washed them a few times and laid them on the counter on the paper towel to dry only to look and see all these little bugs crawling all over them. I was pretty pissed about the whole situation but I have to remind myself it was an experience and the kids had a great time...that said, next year I'm going to Fredericksburg!! !